Have you lost your phone? Or simply just forgot your iCloud account and now you can’t access your saved contacts, notes, and other digital information on your iPhone or iPad? Don’t worry anymore because I will teach you how to have your iCloud Unlock. To unlock your iCloud account without your username or password, you have to download a tool that can bypass the Apple Activation Menu. The bypassing of this security feature needs a special digital tool, and this tool can come in the form of ‘Doulci’. 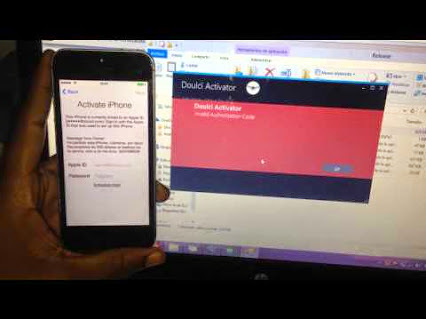 Doulci, is an iCloud alternative and bypass tool, it allows one to access their iCloud account without the password and username. The tool is available to operating systems of Windows, Linux, and Mac. The tool allows you to access and recover your important and precious files that have been stored on your iCloud account. Doulci is easy to use. Just search it in Google and you will find their website there. You don’t need to download Doulci because it is a tool. Just open your the host file of your operating system which can be found here C:/windows/system32/drivers/etc/hosts (for Windows users) and also the host file on your Mac, which can be found here /private/etc/hosts. Next thing to do is to connect your device to your computer, go to the activation lock and open your iTunes. You will be prompted by a message that says your server is not trusted, just accept the message and continue. Wait for a couple of minutes, and then you are good to go, you have now bypassed and accessed your iCloud account.